Flight to Majunga. Pick up by your guide. Then, we will go for a walk in town. Visit the market, from the port to the docks as well as the old buildings that mark the history of the City of Flowers. Free lunch. We will then leave for Antsanitia in the afternoon. Installation in your hotel and free tours. Half board accommodation at Antsanitia Resort. Free day in Antsanitia. 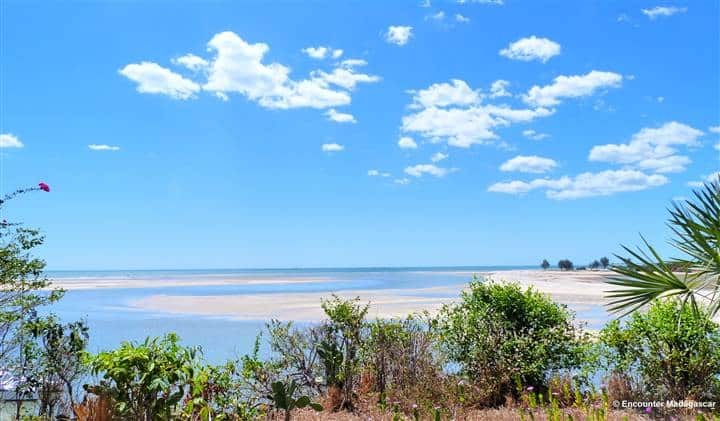 Several tours can easily be organized from your hotel: canoe trip on the Morira River, coastal excursion, and visit of the village, mini cruise on a catamaran or on a traditional pirogue. A day to discover the natural site of Anjohibe. 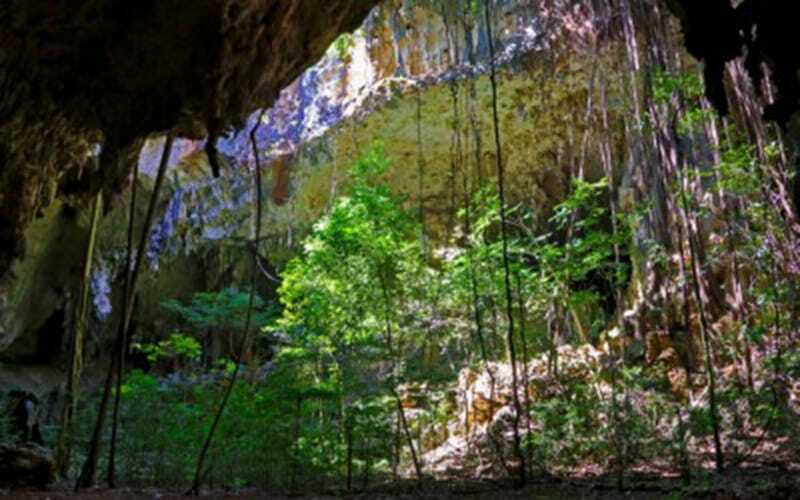 Stroll in the caves, discover the magnificent concretions. Continue the discovery, by canoe, in the mangroves. Picnic lunch. In the afternoon, swim in a natural swimming pool and watch some species of lemurs. A 2h30 walk in the morning and 2h in the afternoon, easy walk. We will then continue the journey to Ankaranfantsika. We will take the same route as the one to join the national road. Picnic lunch prepared by us. Late afternoon arrival at the National Park of Ankarafantsika. 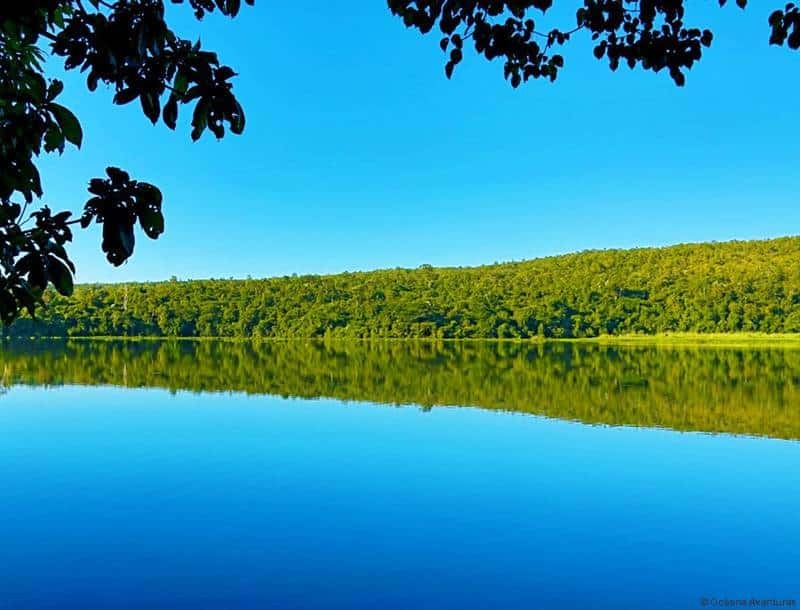 Day of discovery of one of the most beautiful parks of Madagascar: the National Park of Ankarafantsika, in the North-West of the island. It is a mosaic of dense, dry forests. Ankarafantsika is known for its lakes populated with crocodiles. It is also a den for lemurs and endemic birds. Picnic lunch. 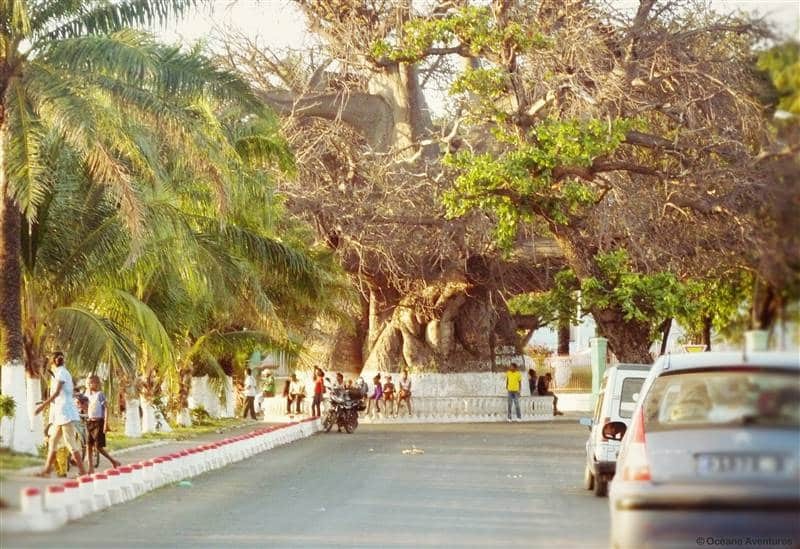 Continuation of the visit of the park in the afternoon, through a path of Baobabs. A walk of 3 hours in the morning and 2 hours in the afternoon, easy walk. Two days of road through fertile plains, savannahs and, from time to time, landscapes of delta where the great rivers of the North flow. Several stops are organized en route to visit villages and markets, for meetings and exchanges. The valley of the Sambirano, moist and fertile, is famous for its cocoa, pepper, Ylang-ylang and vanilla plantations. Stop at the Millot plantation for a visit led by a specialist. Discovery of the plantations and processing and packaging of cocoa beans. Regarding the plantation: one of the most famous in the world, it provides the finest cocoa chocolate makers. The Millot plantation has existed for more than a century, a century of tradition and dedication to quality and excellence. 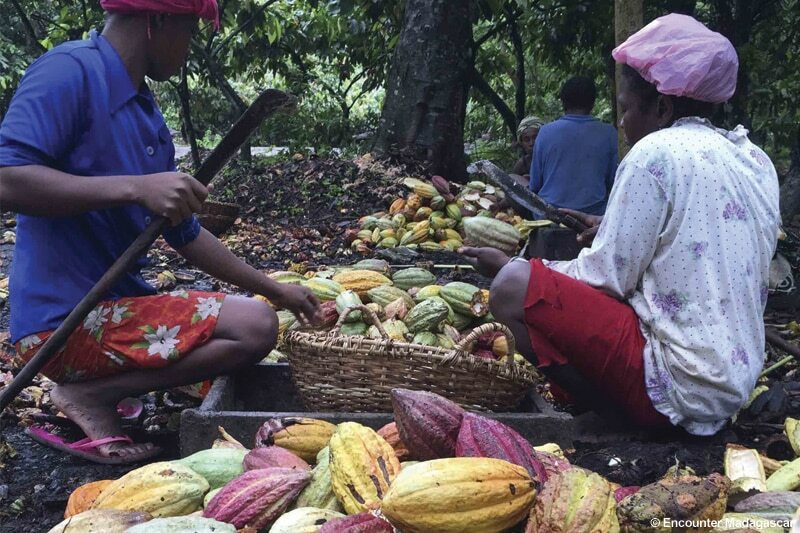 You will discover how to grow a rare variety of cocoa and how, over the course of cultivation, harvesting and preparation, these cocoa pods have become one of the best chocolates on the planet. The greatest starred chefs have come to this plantation to discover the secrets of this rare quality. You will discover how, with patience, young women sort the pink berries, grain by grain, with a brush. You will discover the secret of four spices, black, white and green peppers. You will touch a hundred-year-old tradition. You will stop to see the primary school and the village of the plantation employees. You will finally discover the true meaning of fair trade. Lunch in the plantation. Continue to the Ankarana Tsingy in the afternoon. 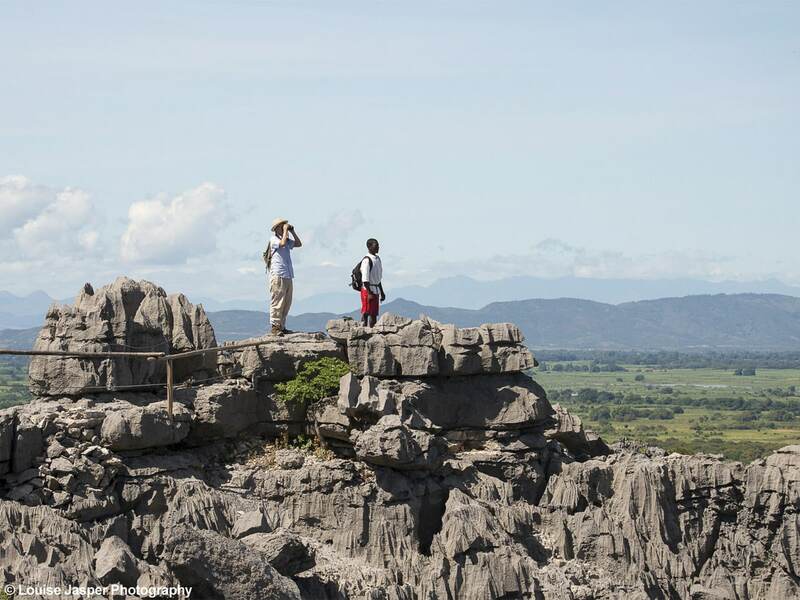 In the morning, you will explore the Tsingy de l’Ankarana through a magnificent “aerial” walk on the Tsingy roof. The panorama is just stunning. On the way, a few belvederes have been set up to allow you to appreciate the best viewpoints. If you are lucky, you will come across some groups of crowned lemurs, an endemic species from northern Madagascar. 3-hour to 3-and-a-half-hour walk depending on the number/duration of stops, 150m of ascending elevation, average difficulty, hiking trail, arranged and secured trails. Renovated and secured routes. People suffering from dizziness should not do this. In the afternoon, we will explore the Mandresy cave. We will reach the entrance to that cave after a short walk through some typical Sakalava houses (15 to 20 min walk from the Bush Camp). With our headlamps, we will move slowly in the galleries of the Tsingy. 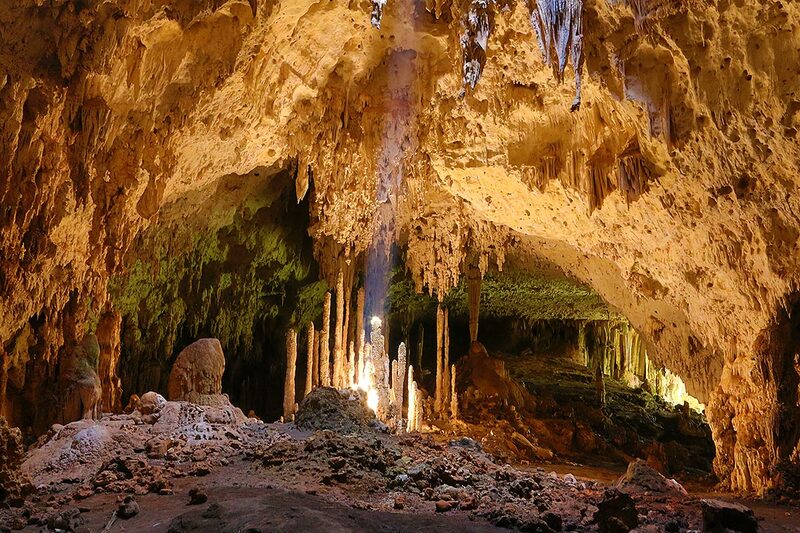 The Mandresy cave has magnificent cavities with large rooms and impressive concretions. It is also home to abundant and very special wildlife: species of bats and some reptiles. Underground rivers hide crayfish and some endemic freshwater fish in the area. Containing places of worship and burials, the caves have a sacred character for the Antankarana. Towards the middle of the 17th century, they served as a refuge for the local population during the ethnic group invasion wars. Many of them lost their lives. 1h to 1h30 walk, no vertical drop, easy walk, marked and secured path. Necessary equipment: good walking shoes or good sneakers, items to protect from the sun, insect repellent, headlamps and water bottle. Departure for Ankify after breakfast. Arrival at the end of the morning. 1h30 boat transfer to Natura Lodge. Rest of the day free. Located on the mainland, Natura Lodge lies between land and sea, far from any civilization, the boat is its only link with the world. Its 10 bungalows mounted on stilts and with an area of ​​42m ² each are spread over 250 meters, all along a 14km-long beach. Natura Lodge is eco-friendly, minimizing the impact on the environment, and praises traditional and local materials in its buildings: banana tree trunk walls, palm leaf roofs, wooden frames and furniture, natural fiber … Each bungalow has its fan and its own bathroom with a jar of water and a pitcher for the shower and dry toilets, participating significantly in the reduction of water consumption. Classic toilets are also available in the restaurant. The Lodge has several freshwater wells that feed a tank so as to provide each bungalow with water. Electricity is supplied by a combination generator, solar panels and batteries. Natura Lodge promises a stay in harmony with nature without any telephone network or internet connection. Free stay alongside one of the most beautiful beaches of the North of the island. The region of Majunga, still little known among the tourist circuits of the Big Island, is a place to discover. This journey starts in Majunga, also called the City of Flowers, and goes on to discover extraordinary sites such as Antsanitia, Anjohibe caves and Ankarafantsika forests. 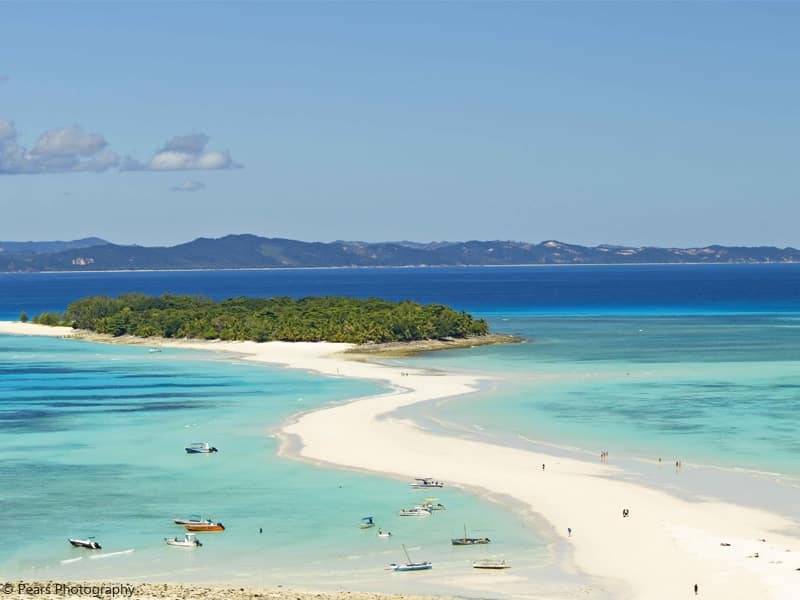 We will then go north to discover the best parts of the Ankarana Tsingy, the Sambirano valley and its legendary cocoa as well as the secret beaches and lagoons off Nosy Be, in front of Nosy Iranja.